I live across from an apartment complex that has way less than 40 occupants and until you see what happens around these places you have no idea. Sure there are good people living there, but I have spent too many nights waking up to sirens, people cussing, fighting, partying, or people honking their vehicles for someone they are picking up and squealing tires as they leave. Do you want to know what the roads look like after a snow? Do you want to know where the smoke is coming from on Hwy KK? Do you want to know what those sirens are all about? Do you want to know why you don’t have water this morning? Do you want to know if its raining outside? Do you want to know if there will be travel delays on Hwy 100 when MoDot is working on the highway? Thursday morning, Kyle Quick was the guest speaker for the Grades 5-9 Summer School Writer's Workshop. He taught us many skills to become a good writer. 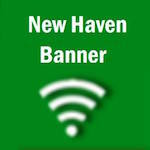 I am writing about the state of New Haven Little League (NHLL). First and foremost, I am not writing this for anything personal towards my wife's uncle, Gary Williman, but I am writing this to hopefully help better our towns little league. In late March of this year the head of NHLL wrote a letter to the editor to a local newspaper that was directed towards me, yet it should have been directed towards my wife because she is the one that wanted to coach. I held back on a response to that letter to hopefully give NHLL the benefit of the doubt that maybe it could be better than last year. With the beginning of the 2012 New Year and the close of candidacy for the city of New Haven’s municipal election, I sit pondering my Aldermanic Ward 2 seat.